I’ve lived in the area for over half of my life and frequently drive down Beverly Blvd ever since from DTLA to Ktown. I never knew an alley ever existed. I knew there were murals located in this area and have seen some on my way on the street. However, to actually see over 25 murals in one alley!?! I saw this mural on Instagram and fell totally over heals! And found that it was located here. The Gabba Gallery, who petitioned to do this alley, received a certificate of recognition for their contribution to the City of Los Angeles. Having lived in the area when I was little, alleys in Los Angeles is pretty shady (I guess anywhere right?) Because of the murals/street art, it made the community and are a more safer place; and less trash to boot! I am not quite sure on the address of the alley, but you start from the Gabba Gallery on 3126 Beverly Blvd. Los Angeles, CA 90057. This building is filled up with murals. I haven’t been inside as at the time I was only looking for the alley and I wasn’t really sure if it was opened. From here, you can park at the residential areas and walk over to the alley. Look for the arrows! This entry was posted in Art, Downtown and tagged Alley, Gabba Gallery, Los Angeles. Bookmark the permalink. 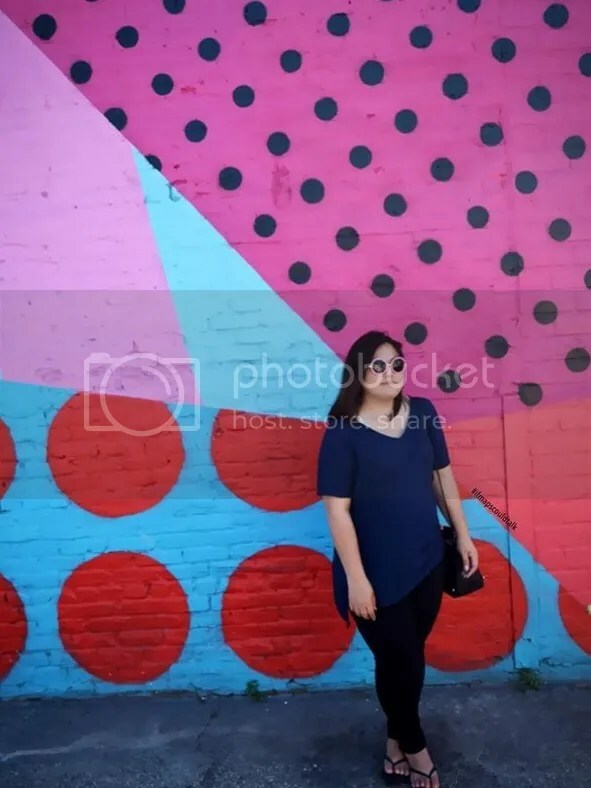 If you’re talking about the really colorful wall where the guy is walking downhill next to it that is The Soap Plant/Wacko building wall in Los Feliz. Hi! Not sure if you found the wall yet. But I stumbled upon a post on Instagram that has the same wall in the vid. That wall is located at 4633 Hollywood Blvd, Los Angeles, CA 90027. The shop is called Soap Plant Wacko. I don’t know if that link works though. But thank you! wow! 🙂 it is! 🙂 Thank you for the link. I’ll check it out soon.